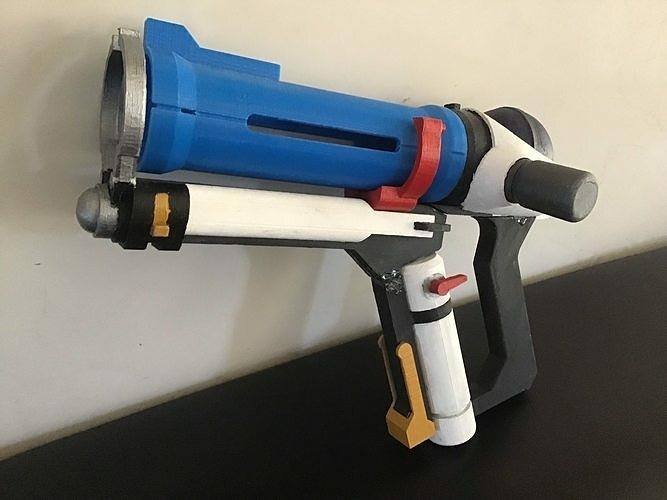 3D model of ​Mei's freeze gun from Overwatch, standard skin. Divided in 12 pieces that match each others. The model in the pictures was printed with an Anycubic Kossel Delta 230x230x300 and painted using acrylics.